The Emerson Tactical Assault Knife, or ETAK folder, is the next generation tactical folding knife. It is based on the knowledge and lifetime experience of Ernest Emerson. The ETAK is designed to be used as an emergency tool, combat weapon, and utility knife. There are two models of the ETAK folder. Model A has a clip point style blade and Model B sports a tanto blade. 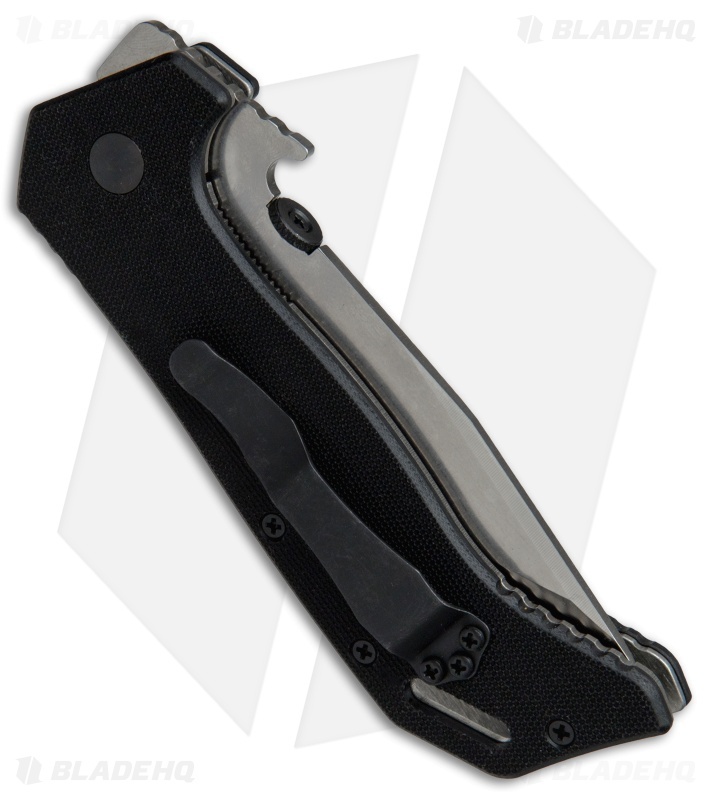 Both models feature the Emerson Wave Opening feature along with a thumb disc, G-10 scales, and a titanium liner lock frame. The Emerson ETAK is a hard use knife that you can rely on. 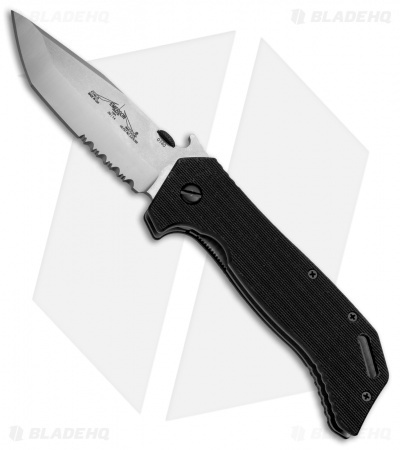 This knife has a stonewashed tanto blade with a partially serrated edge. 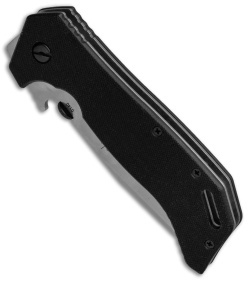 The handle is black G-10.